When you go shopping you might not always know what you’re looking for, but Ben Zifkin is betting that robots might help you find it. “It’s the new way of doing things for retailers,” says Mr. Zifkin, chief executive officer of Hubba Inc., a Toronto-based online business-to-business platform that connects retailers to brands. For the brands, the attraction is obvious – they are put in front of big retailers. But artificial intelligence (AI) is changing the world for retailers, too, Mr. Zifkin says. Ben Zifkin is CEO of Hubba Inc., a Toronto-based B2B platform that connects retailers to brands. “In the old way, a retailer would rely on a really small subset of different products and brands and go by trial and error,” he says. The new way uses AI, which analyzes data about how consumers behave, then correlates it to brands of peanut butter, toys or sports gear. The brands sign up with Hubba, which connects them to retailers that customers are likely to visit. For retailers, “all of a sudden the whole world is open to you. You may have heard of 10 or 20 brands in your industry before, now AI can show you a thousand companies that you may have never heard of. More importantly, we can show you the 10 you ought to care about,” Mr. Zifkin says. 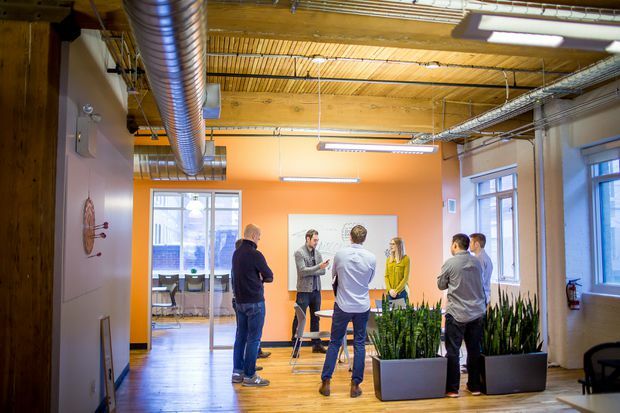 Hubba is just one of many Canadian companies using AI, or machine learning. Indeed, the technology is shaking up the worlds of retailers, marketers and sales people. Workers meet at Hubba in Toronto. 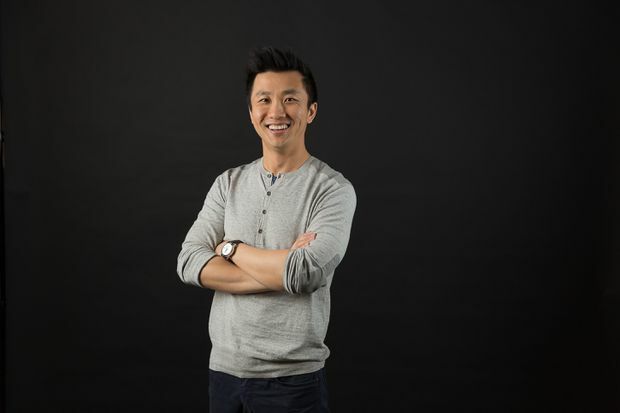 Toronto-based Rubikloud Technologies Inc. is using AI to help retailers automate day-to-day processes such as inventory, marketing and customer service, says Kerry Liu, co-founder and CEO. AI can also help category managers avoid the “sorry, we’re out of stock” curse. Using information about which products are selling well, AI can tell managers how much to order, when stock is getting low and which products are popular in which stores, Mr. Liu says. Rubikloud Technologies Inc. is using AI to help retailers automate day-to-day processes. Kerry Liu is CEO. Companies such as Rubikloud also use AI to tell retailers how their loyalty programs are performing. “Retailers often fund these programs through large marketing budgets. If they’re not actually driving the consumer behaviour they seek through these programs, then they’re wasting money,” Mr. Liu says. “Across the areas we work, we’re typically 30 to 40 per cent more accurate using AI,” he adds. Another Toronto company, Drop, uses AI to help consumers gather all their loyalty points onto one or two credit cards so they can earn points without having to remember all the programs they belong to. “We build a mobile app that ... recognizes what you spend, and you get points as you go,” says Ian Logan, vice-president of engineering at Drop. A screen grab from Rubikloud Technologies' software. The fintech company also uses machine learning internally to improve and update its app. AI does the job more quickly and effectively than if it had to rely on humans to rip apart and rebuild the algorithms. The next step in incorporating AI into retailing will be the use of neural networks, in which machines build on the information they have gathered by developing more sophisticated connections. “We’ll use neural networks to analyze pricing and geography, for example, to decide whether it will work to charge the same price for something in downtown Toronto and rural Manitoba,” Mr. Liu says. For retailers, AI is now “table stakes” for those who want to generate new sales leads and personalize offers for customers, says Jodie Wallis, managing director for AI at Accenture in Toronto. “It also plays a key role in how interactions between the retailer and the customer occur. How the jacket fits, how you look with makeup – augmented reality is increasing the level of engagement,” Ms. Wallis says. Augmented reality uses AI to connect consumers and products virtually in new ways. For example, IKEA offers a free app called IKEA Place that lets consumers take pictures of their own rooms with a smartphone and then place one of the store’s products in the room; the app figures out how much space the furniture will take up, and it can be moved around in the picture. What should consumers make of all this? Are we entering the world of George Orwell’s Big Brother, where every shopper is being watched?